Want a little bit of Europe in your own back yard? Imagine walking to your car on a cobblestone walkway or through your garden on a cobblestone path. We can make that possible! Owner, Ryan Nicholson, worked and trained for 2 years under the guidence of a Portuguese cobblestone expert in Germany, and the unique skills required to lay cobblestone in many different layouts and patterns are our specialty. The natural, old world look of granite or basalt is truly one of our favorites. Do you like the look of flagstone? We do! This natural look is quite unique and can be made to suit almost any garden design. 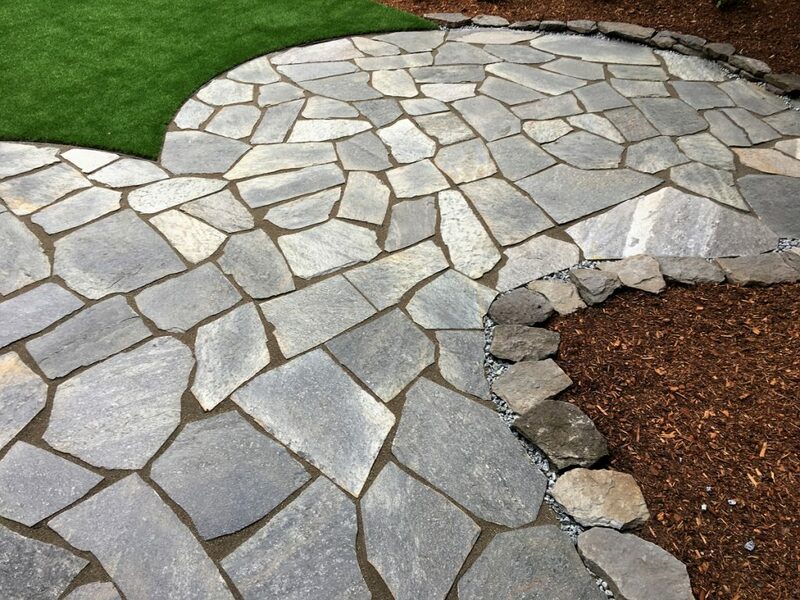 We install flagstone to European specifications which means small spaces between stone to eliminate the unsightly appearance of too much concrete between your flagstone pieces. 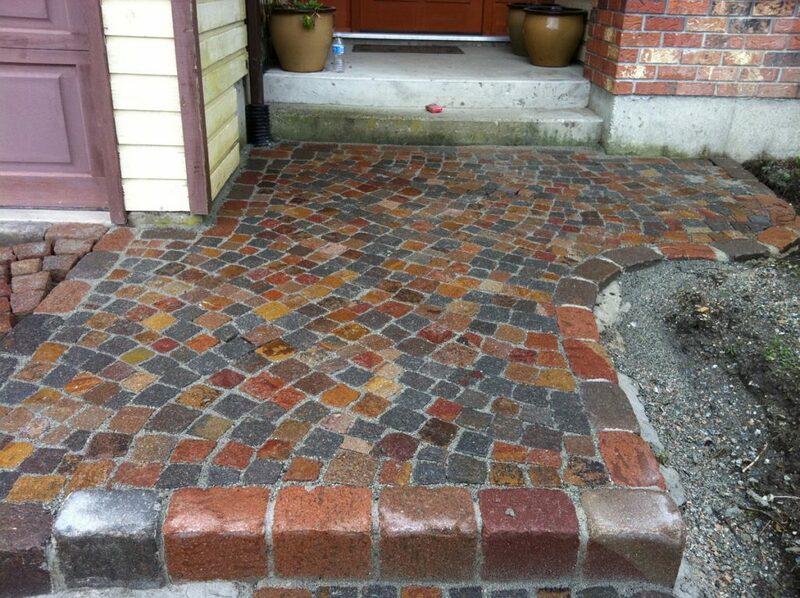 Be the envy of your neighbourhood and let us build you the patio or walkway of your dreams. Please click the logos below to visit our cobblestone and flagstone suppliers catalogs.